An afternoon nap in the sun can have someone feeling rested when they wake up, but this nap may not suit those who want to return to work with energy. 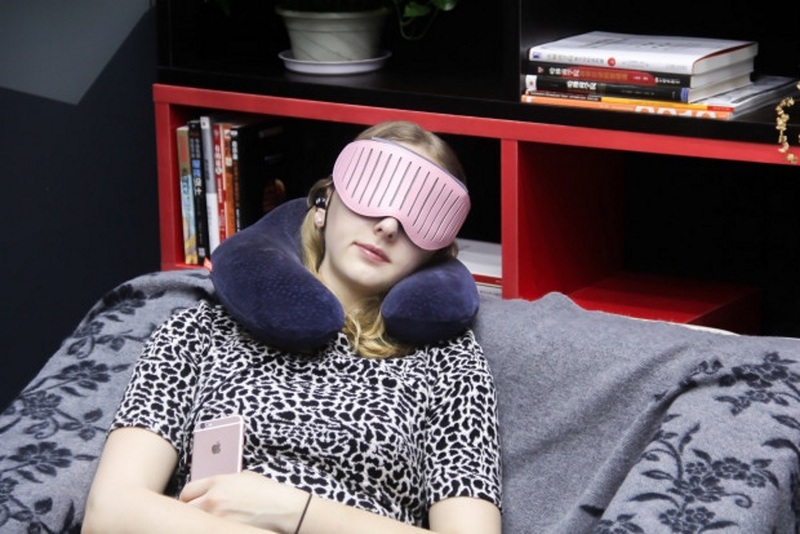 Entertech, an electronics wearables company in China specializing in electroencephalogram (EEG) and electrocardiogram acquisition technology, has created Naptime, an eyeshade wearable designed to assist those feeling tired during their workday. The device monitors the user as they nap to ensure it is an optimal one and they wake up without feeling groggy. There are four sleep stages in a human’s sleep cycle. When a person has entered the third stage of sleep, they are harder to wake up and will feel groggy afterward. In the second stage a person’s mind floats to their memories where they dream about things they remember from the day. In this stage, a person will wake up feeling rested and refueled. Naptime gets users to the second stage and wakes them before they go any further. 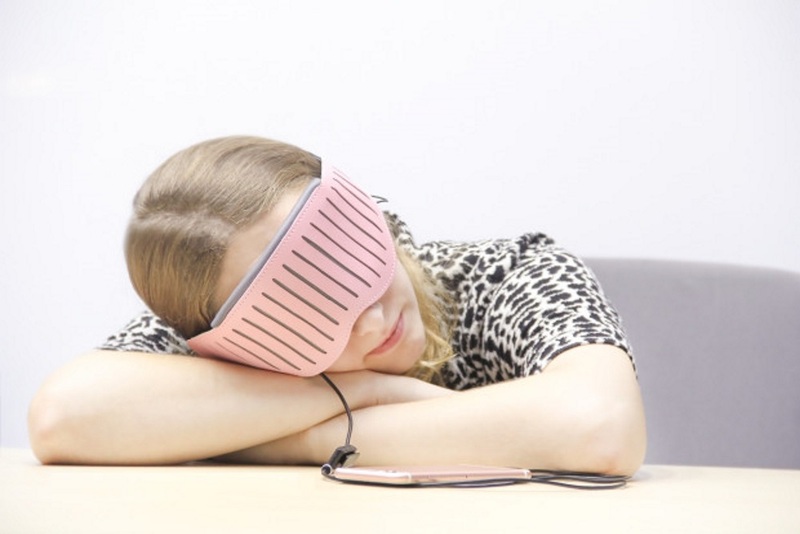 The wearable eyeshade covers both eyes to prevent any external distractions and comes with a pair of headphones. Naptime plugs into a person’s phone and opens an application to start the process. Because it attaches to a user’s phone, the device does not require batteries. The headphones provide soothing music for a person to lull themselves through the first stage of sleep. When a user enters the second stage of their sleep cycle, the music switches to white noise. Louder music, similar to the one used in the first stage of sleep, will play to help them wake up. 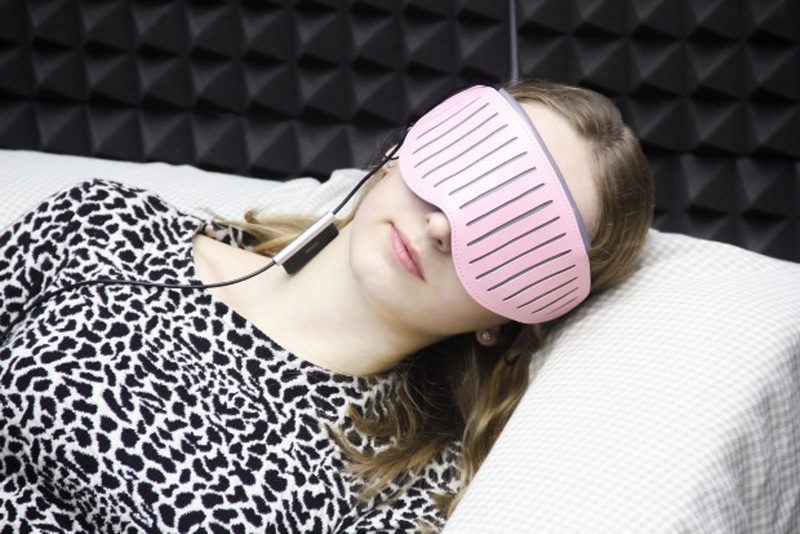 While asleep, Naptime tracks a person’s brain waves. It takes a bit of use before the device’s programming fits the person’s schedule, as everyone is different in their needs. The sound library will adapt and change to play songs the user falls asleep the best to and wakes up from. The application will also monitor naps taken for users to reflect on how their sleeping has changed over time. A dry EEG reader rests in front of Naptime. The reader detects the user’s brain waves without any contact to their skin. The data the device receives improves the application for every user. Following each nap the device will calculate the quality of the nap taken and compare it to previous uses. Those who do not wish to use the reader can remove it prior to taking a nap with the device however.